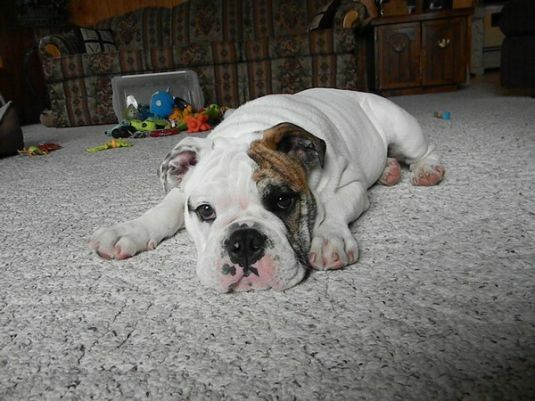 Bulldog puppies are easily recognized by their wrinkly face and drooping jowls. 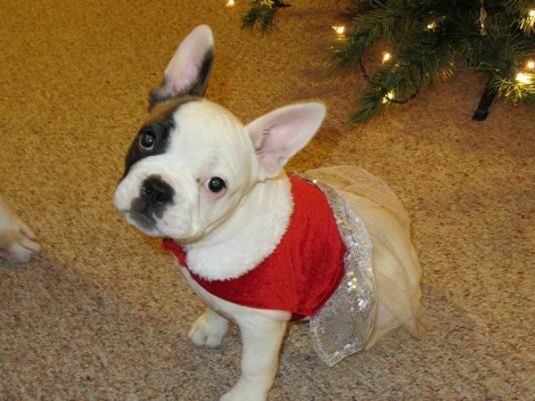 These characteristics make Bulldog puppies extremely cute, but it also creates health problems, such as skin infections. Bulldogs are very obedient, but do require a little work to train. Bulldogs often want to be treated like lap dogs, but their size does cause this to occasionally become a problem. 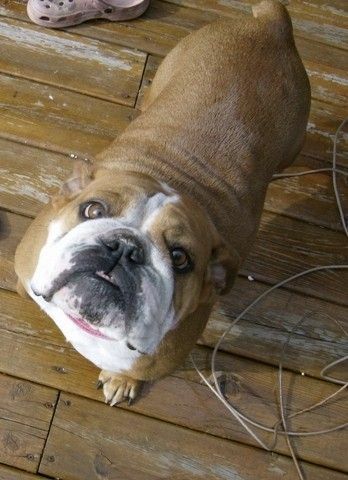 Visit DogBreeds.net to learn more about Bulldogs. 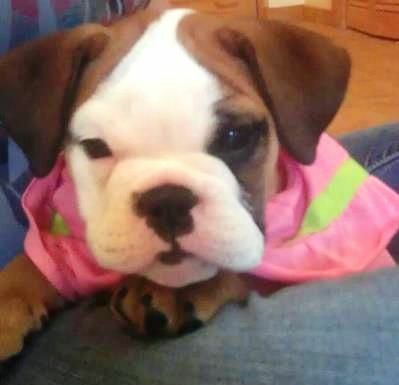 Lola is 9 weeks old, she is an English Bulldog.